It can take years or months to get your product ready to launch. Deadlines are made or extended. People are brought in to fill new roles. Money can be a bit tight. But the main thing is to keep your end goal in mind. Don’t lose sight of what you are doing and everything will work itself out. So how do the big companies do it? How do they have successful launches? It’s not rocket science. Anyone can do it. Follow these rules to ensure your company is successful when it shows its product to the world. TEST AT EVERY STAGE. AND THEN TEST AGAIN. The worst thing that could possible happen is your product doesn’t work during the reveal. You can’t launch a product that doesn’t work (though some have tried..). Ensure that your product is running as intended, which means it performs the task or service it’s meant to do. It will save you a lot of time and stress. You have a sound and solid product! But do you have the team to back it up? Train your employees so they know all the ins and outs of your new product. They should be able to explain to customers how it works without sounding too complex. You want to make sure that your team is trained to handle customer support calls as they come in. Your sales team is going to do most of the selling, so make sure they know how to pitch it! Come up with fun ways to pitch your product to your target market. They can create fun ads or demos for people to see it in action. Create “teaser trailers” to up the hype for your release day. Sometimes visuals are the best way to go. The limit here is your imagination. There’s nothing more important than customer feedback. How are people liking your product? Are there things that you can improve for the second version? The third? Customer feedback helps you understand your target audience. This shows you how they are interacting with your product. You should always be open to questions, comments, or concerns. You can test your product in the lab countless times, but it might perform differently out in the field (remember Apple’s #bendgate?). 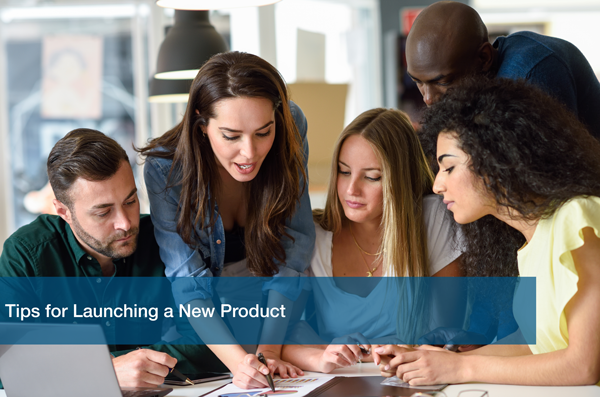 Launching a new product doesn’t have to feel like an all or nothing event. With careful planning and training, your team will be ready to rock! If you need assistance, ITC offers amazing all-inclusive IT support so your team has one less thing to worry about. Schedule an IT analysis with one of our experts today to find out what ITC can do for your business!